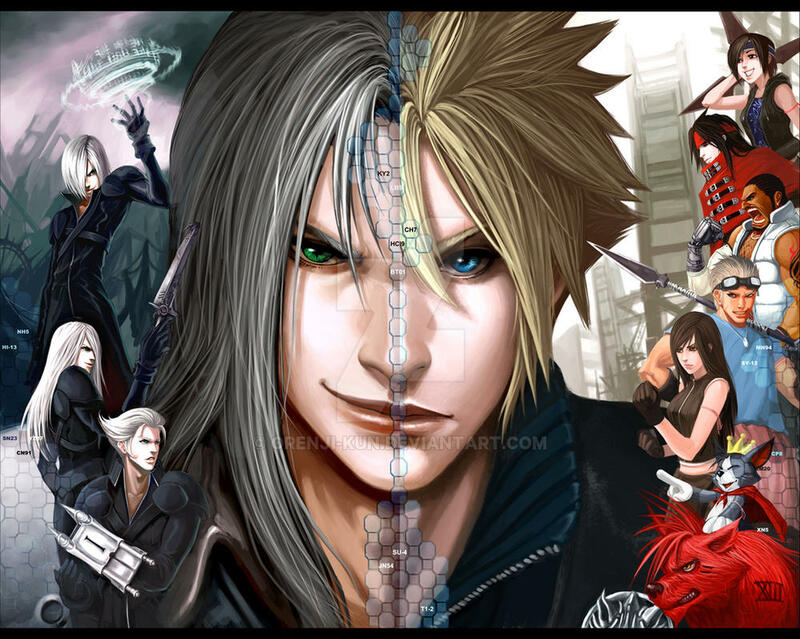 ... combined to form the ultimate power of Final Fantasy Advent Children!!! this looks kind of retarded but it serves as an okay wall paper. Or do you have it for sale somewhere? If you could let me no that be great. 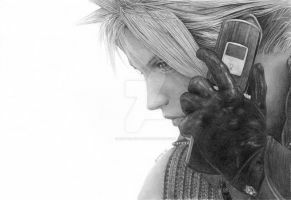 Massive fan of FF7 and this work look create on my new case I'm getting. wow!!! that's amazing! it's like staring at a tasty chocolate cake! Great work! Only minor thing I think could've been done better: the rough line that splits them apart.. I think it would've looked better if it was smudged ever so slightly so you don't get that rough line down the middle. FF7:AC is one of my favorite movies. So, I love this. It shows a good representation of the members of the teams. Nice. Vincent,Seph & Cid you just made my day! I wish Zack was here as well. Dear god this is epic! Must make my wallpaper! You've got badass Sephie and badass Cloud [and friends]. What's not to fangirl over? it doesn't look kinda retarded. i think it's very well done. sweeeeet!!! i like a lot!!!! Really quite spectacular job. Amazing idea, and perfect execution. Well done. Love it! Excellent merging of the two!